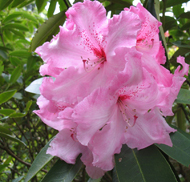 Welcome to Mount Arrowsmith Rhododendron Society! Vancouver Island, British Columbia is one of the few areas in Canada where rhododendrons can flourish. If you’re new to rhododendrons, you’ll be amazed by the variety and stunning beauty of these wonderful shrubs. 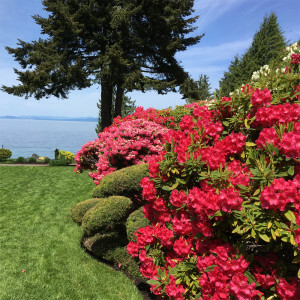 Whether you’re a long-time rhodo grower or a complete novice, Mount Arrowsmith Rhododendron Society (MARS) welcomes you to join us. Our large and vibrant club offers fascinating educational talks at our monthly meetings, along with door prizes of gorgeous young rhodos and the opportunity to relax with coffee, tea, and goodies while you enjoy the company of other enthusiastic gardeners. MARS is also active in the community, organizing the popular annual Mother’s Day Garden Tour, the annual Truss Show and Plant Sale, and contributing rhododendrons and volunteer labour to Milner Gardens and Woodland. And don’t forget the special member benefits like informal Q&A sessions with our rhododendron experts, private garden tours, and discounts at local garden centres and nurseries, as well as a discount on your Milner Gardens annual membership! Join us today – we look forward to meeting you soon!